Robert and Benjamin Bynum, the brothers behind some of Philly’s great Southern kitchens and jazz bars, are on the move — this time, right next door to South, their Southern kitchen and jazz parlor on North Broad Street — with a new version of their health-conscious Chestnut Hill restaurant, Green Soul. The Bynums’ restaurant group currently includes Warmdaddy’s, a soul foodery in Pennsport; two New Southern restaurants — Relish in West Oak Lane and South on North Broad Street — and their fast-casual operation, Green Soul, located in the Chestnut Hill Hotel. As of March 15th, the brothers divested from their partnership in the hotel’s Paris Bistro for branding purposes (a French bistro sticks out like a sore thumb among three Southern American-inspired restaurants). Green Soul — the Bynums’ first break onto the fast-casual scene — first opened across the street from Relish in 2011 with a menu of healthy salads, sandwiches, smoothies and juices. In 2013, they opened a second location inside the Chestnut Hill Hotel, and in 2014, closed the original location on Ogontz Avenue. 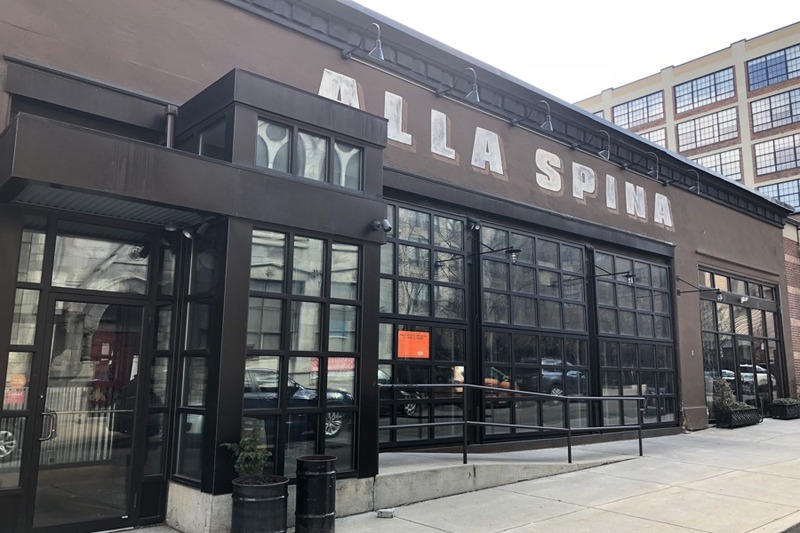 And “hopefully by July,” says Robert, they’ll have moved Green Soul into the old Alla Spina space directly next door to South at 1410 Mt. Vernon Street. Unlike its earlier versions, the new Green Soul will be a full-fledged sit-down restaurant with table service, a bar and, of course, live entertainment, which could range from “live music to poetry readings to book signings to lively debates — all in an inviting and comfortable environment that welcomes people of all ages, races, nationalities and genders, with varying points of view, lifestyles and backgrounds,” according to Harry Hayman, the restaurant’s GM. And with South doing live jazz and blues next door, they decided to make Green Soul’s stage a bit more community-oriented: “A space geared toward forward-thinking, liberal-minded individuals,” says Robert. The menu, he adds, will still offer the sandwiches, wraps, salads, juices and smoothies Green Soul built its name on, but in the new, much larger space, they’ll add composed entrees — healthier versions of Southern comfort food and the various cuisines of the African diaspora made with local, sustainable and organic ingredients — and a serious bar program that will deal in natural and organic wines and “healthy-ish” cocktails. Robert says that they’d like to be open by July 1st, but it all depends on permitting and license transfers. Stay tuned for more as the restaurant progresses.